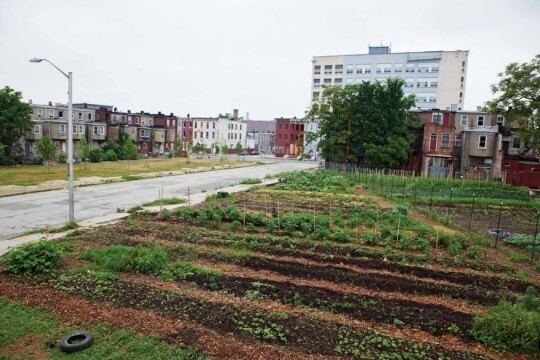 In a gesture of resistance to the mounting privatization of public space, the artist collective Baltimore Development Cooperative took over an empty lot in East Baltimore in 2007. The result is Participation Park – a nod to Berkeley’s historic People’s Park – which they continue to squat to this day, and is group’s longest running project. The park is an experiment in democratic spatial practice, in which everyone who participates in the use of the space is invited to engage in the political process of shaping it. Working with input from neighborhood residents to design and implement new uses for the land, the Baltimore Development Cooperative has effected the park’s evolution from an urban farm to a community kitchen, free store, and adventure playground.